Throughout the 19th century, the social, political and technological upheaval that reshaped Britain was mirrored on the River Thames. New docks and bridges redefined life on London's river while the waterway's upper reaches, once the domain of eel trappers and osier gatherers, became a place of rowing regattas and pleasure seekers. 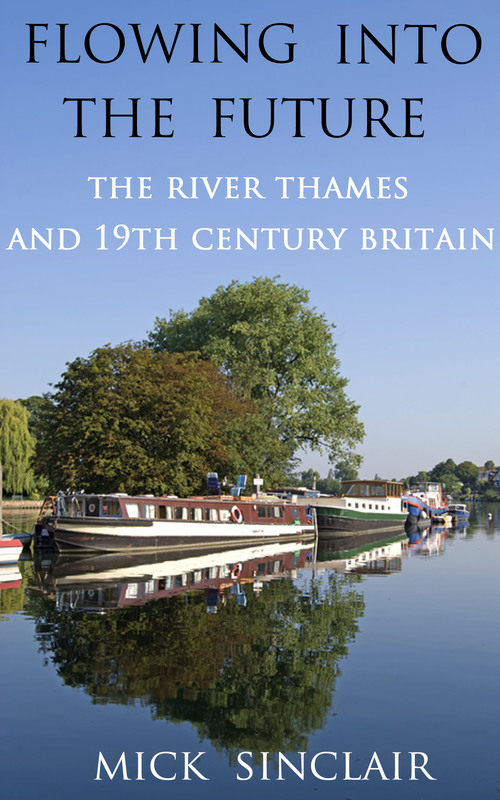 In this fully referenced essay-length study, Mick Sinclair reveals how the changing river reflected the changing nation, and how the Thames, like Britain, ended the century in a form starkly different to that in which it had begun it. THIS BOOK IS ONLY AVAILABLE AS A KINDLE. No nation in the world changed as fast as Britain in the 19th century, a period of unprecedented technological innovation that brought steam, speed, and rapid industrialisation coupled to an explosion in international trade that made Britain the powerhouse economy of the globe. Change was not just scientific and economic but social and political: the triumph of free trade, greater enfranchisement, the spread of worker representation, and the educational reforms that would lead to greater employment opportunities and rising living standards. All of these changes became evident on the nation's greatest river, the Thames. Free trade ended the cargo-handling monopoly in the Port of London and inspired the spate of dock building that redrew the map of riverside east London. The social and economic needs of the fast-growing capital brought the Thames new bridges, a tunnel and sewer system, the latter not only cleaning a stinking river but turning parts of its bank into an architectural wonder. As the nation’s urban areas increasingly came under the rule of municipal authorities, so public control was extended, for the first time effectively, to the river. The Thames not only reflected change but the struggles to bring about change and the unintentional consequences of change. Bazalgette’s sewers might never have been built without the victory over anti-interventionists that enabled the creation of the Metropolitan Board of Works. The docks may have been bastions of free trade but they contributed significantly to the rise of organised labour and the trade unions that, for some, represented free trade’s nemesis. The Thames Tunnel may have been ‘perhaps the most significant nineteenth-century civil-engineering work in Britain,’ but it was effectively useless until turned into rail conduit, a purpose its creator never foresaw. The railways themselves, at first only grudgingly permitted to encroach on riverside land, both ended the waterway’s role as a major cargo route and facilitated its dramatic rebirth as source of leisure. In doing so, these icons of the industrial age helped create perhaps the non-tidal river’s most emblematic symbol of change: the lock-keepers, who before grappled with the paddles and rhymers of dilapidated flash locks and swapped obscenities with grizzled bargemen but who now operated super-efficient pound locks, occupied pretty cottages, served teas to tourists, and tended gardens in pursuit of prizes.